Palm Harbor has been around since the late 1800s and has changed names several times, yet it didn't get it's current name until 1925 (see here for the history of Palm Harbor). Today it's a thriving community with over 64,000 residents and is full of natural beauty which includes its communities on the beautiful Gulf of Mexico. Old Downtown Palm Harbor is thriving with an array of restaurants and shops. There are numerous festivals including the Palm Harbor Arts Festival, the Citrus Festival, The Parrot Head Party, Palm Harbor Day in May, Crafts and the Downtown Merchants Arts, Crafts and Music Festival and the Cruisin' the Park Car Show, to name a few. Many people seek out Palm Harbor for its school reputation and abundance of sporting leagues, parks, and trails, golfing, marinas and public boat ramps - it's a very family friendly community. 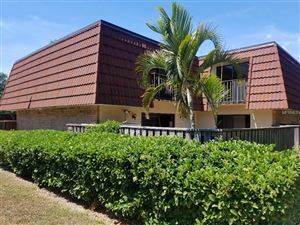 While it is one of the most affluent communities in the Tampa Bay Area, there are plenty of townhomes, condos, and villas available in all price ranges with many 55+ choices as well. There are ample waterfront and luxury home options yet, for the most part, it's best described as a very nice suburban place to live with easy access to all that Tampa Bay has to offer.